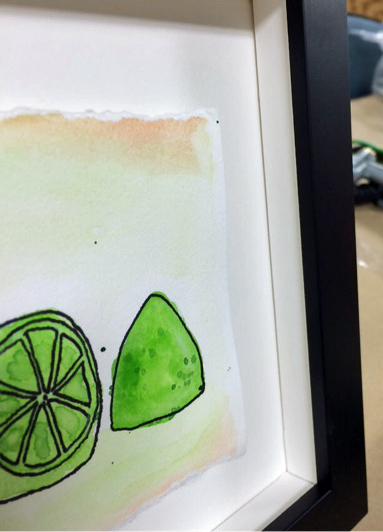 Framing watercolors gives the artist opportunities to be creative with the final presentations. Luckily, there are plenty of ways to frame your watercolors and get the effects you want. We’re going to cover four of them, and they’re so simple, you can do them yourself! To showcase the deckled edge of the paper, we will want a narrow mat that doesn’t cover the edges. 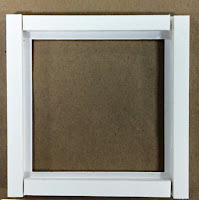 First, we’ll mount the watercolor to a piece of no-cut mat board using float hinges (V-Hinge or S-Hinge) using archival or acid-free tape, or your preferred method to give the watercolor a “floating” effect within the mat. We will then place a second mat board over the watercolor, raised on a spacer. 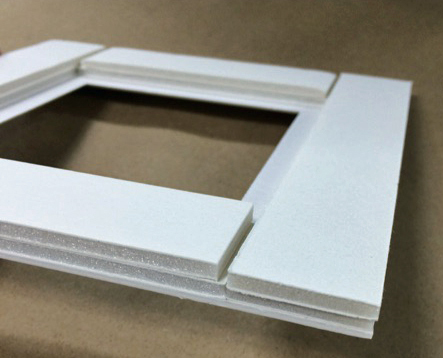 Thin strips of foam core are mounted to the back of the mat board using archival or acid-free tape. The foam core strips must be cut thin enough so that they don’t come to the edge of the mat board. The second mat board with the opening cut is laid over the top of the artwork and the spacers. 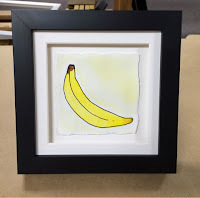 The second mat does not cover the edges of the artwork, as is typical in traditional framing, so as to showcase the deckled edge of the paper. 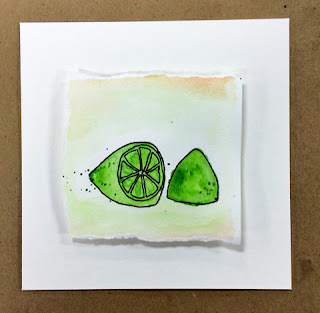 Again, use archival or acid-free tape to float the watercolor on a no-cut mat board. 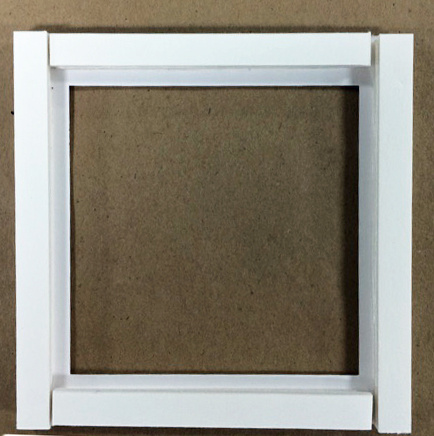 Since we aren’t using another mat board to separate the acrylic from the artwork, we will attach Econospace Spacers to the back of the frame. 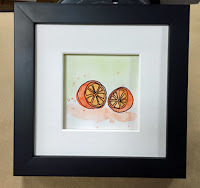 It is important to keep a little space between the artwork and the acrylic because direct contact can damage the watercolor over time. 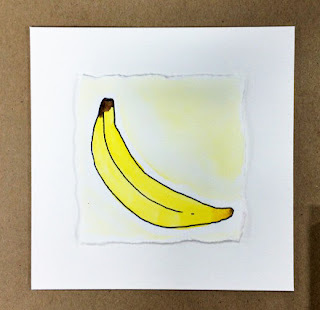 If you’re looking for the traditional mat look, use this method to make sure you capture the watercolor — without the watercolor buckling. Mount the watercolor using a piece of mounting board and archival or acid-free tape, as we did in option 1. 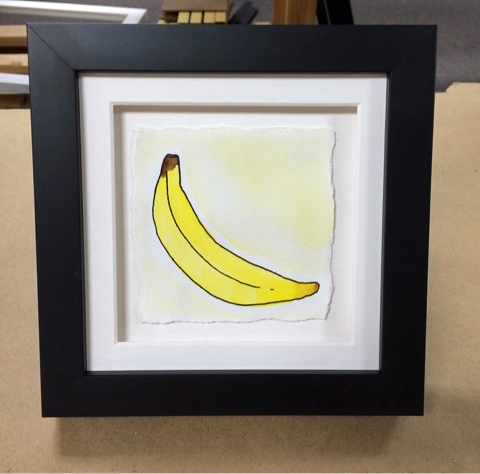 The second mat will cover the edges of the paper like you would see in standard framing. Because watercolors are created using so much water, the paper is typically wavy and buckled. 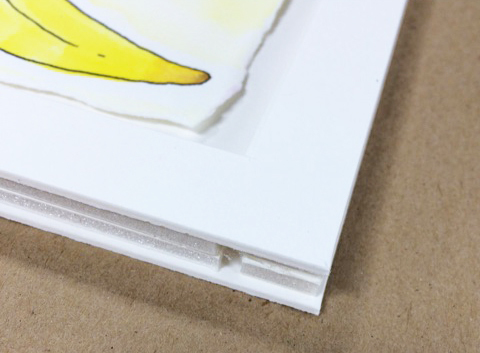 To minimize that buckling, we raise the mat board above the artwork using homemade spacers. 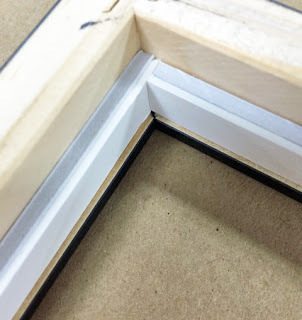 To create the spacers, attach thin strips of foam core to the back of the mat board using archival or acid-free tape. 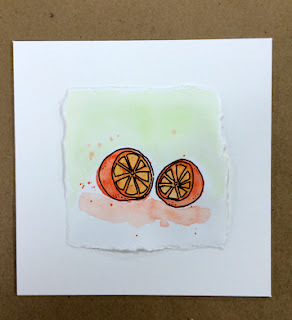 The spacers allow a little room between the mat board and the watercolor, lessening the effect of the paper’s waviness. The shadowbox effect is created by again floating the watercolor on a no-cut mat board, but it is also raised. To achieve this raised, floating effect, the artwork is attached to a piece of foam core that is smaller than the artwork, again using archival or acid-free tape. 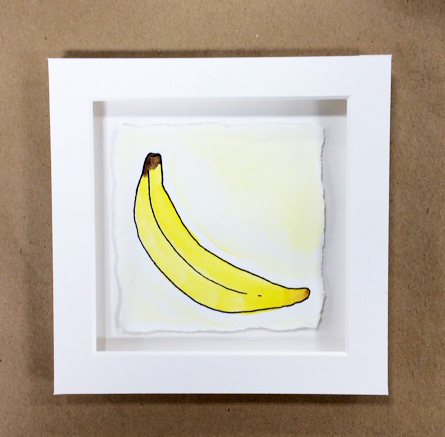 The piece of foam and the artwork attached to it are mounted to the center of a no-cut mat board. 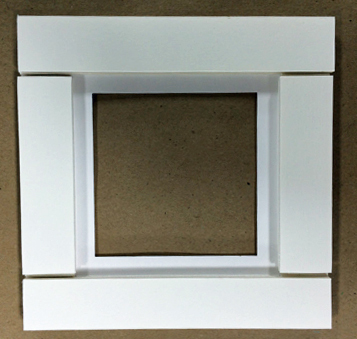 Additional strips of foam core, faced with strips of mat board, are then attached to the rabbet of the frame. Make sure your frame is deep enough for the artstack and the strips for the shadowbox style. All stacked together, the “artstack” is what creates the depth in the frame and the shadowbox effect. 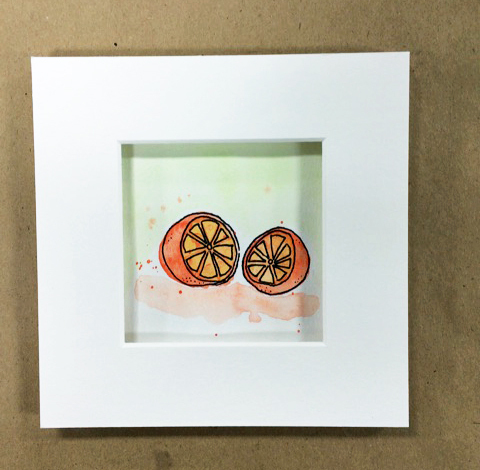 Any of these methods will protect your watercolors in style. Need more help? We’re here for you! 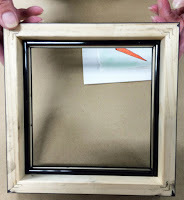 For detailed steps on how to secure and frame your artwork, see the “How to Attach Artwork in a Framing Treatment” post from our blog, Good Frame of Mind. 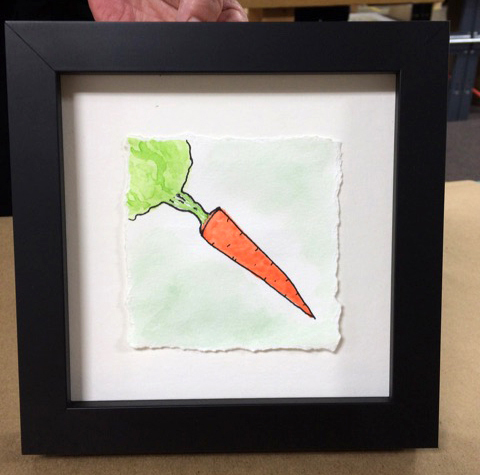 Happy framing! 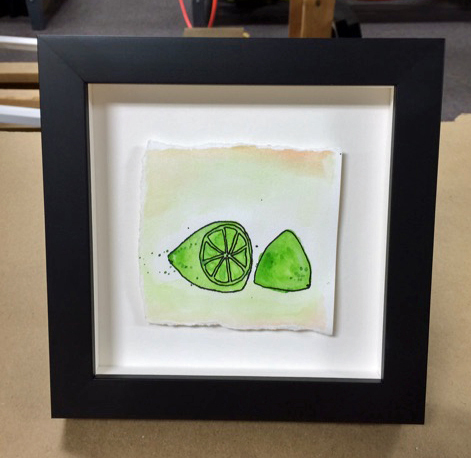 Ready to start framing your watercolor paintings? We have you covered. 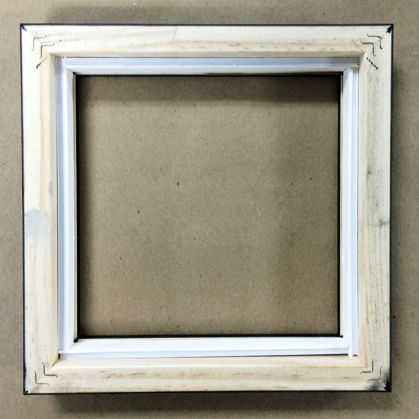 Check out our framing accessories and tutorials to get started! Let us know if you need any help by calling us at (800) 537-0944. So, who’s Mike? 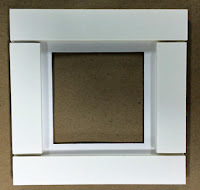 He is the man behind the mission of getting your picture frames produced and out the door quickly, correctly, and with custom frame-shop quality. Once your order is placed, it is in the hands of Mike and the many people he has trained over his 35-plus years with the company. A natural teacher, Mike loves to tinker and experiment. Of course he has a nice office, but we rarely find him there! Working in the plant to improve our processes is his passion. Outside of American Frame, Mike is an outdoorsman, avid fisherman, devoted family man, and Ohio State Buckeyes fan. Follow him on Twitter @AskMike400. It looks so cool! I want to try making one! Very informative! I will have to try this!